Oil is an essential commodity for everyday cooking. Right from deep frying food items to adding tadka to vegetable, cooking oils play a vital role in the Indian diet. Many people have the habit of saving the oil left after deep frying food items. But have you really thought what consequences you may face by this activity? Did you ever visit a snack shop and see the same oil is used throughout the day? I guess many people don’t even know how to identify good cooking oil. It is important to understand how temperature works for different oils. Heating oils above its smoking temperatures change its associated chemical bond and this can lead oils to produce undesirable characteristics. Since oil is a costly commodity many people reuse the oil after frying a food product to avoid wastage. But they are unaware of all the unhealthy diseases they are inviting by this activity. Many cooking oils are made up of polyunsaturated and monounsaturated fats. These fats are essential for our body and have numerous health benefits. Heating oil above its smoking point changes the chemical composition of oil molecules and turn fatty acids into trans fats and they are extremely dangerous to our health. Overheating of oil also releases free radicals which can inhibit the normal functioning of our body. A free radical is an electron lost due to various reasons and since electron possesses the tendency to attach itself to other molecules, this free radical can attack our healthy cells to accommodate itself. Naturally, oils like sunflower oil are anti-oxidant, meaning that they provide an additional electron for these free radicals to combine, sparing your healthy cells from getting damaged. But when you reuse the oil, the antioxidant property of oil vanishes and the oil itself may produce free radicals. Free radicals are associated with many problems in the human body; they can block your arteries and damage your skin. Free radicals are also carcinogenic meaning they can lead to cancer. Re-using the oil can also increase the level of bad cholesterol in the blood. Things to keep in mind while reusing the cooking oil? 1. If you want to reuse your oil again, make sure you know the smoking point of the oil you are using and avoid reaching up to that point. Say if you use sunflower oil for frying a food product, don’t use the oil for the same activity. Instead, use this oil for some other cooking activity which doesn’t involve oil reaching its maximum temperature. 2. Separate the oil into an airtight container as soon as you finish cooking. This will avoid food products increasing the possibility of oil spoiling before its expected limit. 3. While re-using the cooking oil check its physical appearance before and after the usage. If you see some drastic changes you better avoid the oil. Usually, the oil becomes dark in colour, high in viscosity and thicker than usual. If you see these characteristics, throw the oil immediately. Given the vast number of oils present in the market today, it is getting difficult to choose the best cooking oil. Here we list down the various qualities and smoking points of some of the cooking oils used regularly. Based on your requirement you can narrow it down as per your requirement. Coconut has high saturated fats, which makes it resistant to heat. The fatty acids present have potential medical benefits. The oil is semi-solid at room temperatures and can last for months without going rancid and hence coconut oil is the best choice for cooking oil. Coconut oil is one of those items which are called “superfoods” due to its various nutritional gifts. 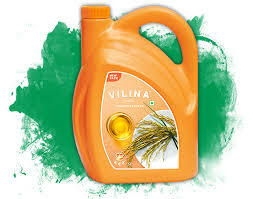 Its unique combination of fatty acids makes it different from other cooking oils. The various positive effects of this oil include better brain function, may reduce seizures and increase the percentage of good cholesterol in our body. Coconut Oil has a smoking point of 350F or 170 C degree and is not suitable for high-temperature cooking. In recent years, sunflower oil has become a popular choice in cooking oil especially when it comes to deep frying the food products. Mild taste and the mixture of balanced polyunsaturated and monounsaturated acids make it a perfect cooking oil. Sunflower oil has amazing health benefits like maintaining a good cholesterol level, promoting heart health and strengthening your immune system. Sunflower oil is an antioxidant and provides various skin benefits, and is used in many cosmetic products. Sunflower oil has a high smoking point of 400 degrees Fahrenheit or 232 degrees Celsius making it suitable for Deep fried products. 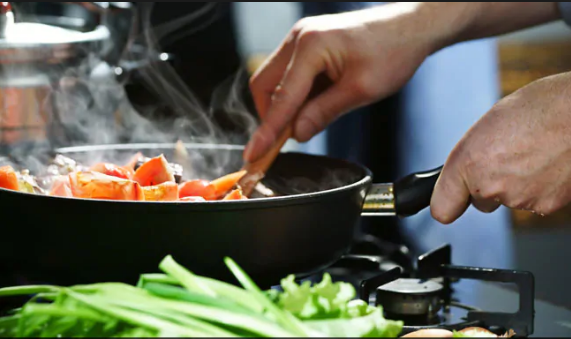 The two performance indicators while selecting a cooking oil should be its smoking point (The temperature at which the oil cracks, it must be high for cooking oils) & Oxidative stability (How resistant is the oil against oxygen). Olive oil performs well with both the indicators, making it an excellent choice as cooking oil. Olive oil contains a good amount of monounsaturated fats making it heat resistant. Rich in vitamin E, the ability of olive oil of remaining stable even when exposed to oxygen makes them suitable for deep frying. Soybean is the healthiest of all the vegetable oils. Most of the soybean oil is categorized in different levels based on the process they undergo and its desired application. It has a wide variety of essential fatty acids and plant sterols making it a healthy cooking oil. It is the most widely used vegetable oil in the world, possibly due to a reason that it is been cultivated on a large scale in different parts of the world. Soybean Oil has a smoking point of 350F or 170 C degree and is not suitable for high-temperature cooking. Relatively new in the market, rice bran oil is slowly gaining popularity. It has an ideal balance of polyunsaturated and monounsaturated fatty acid. To be precise it exactly contains – 37% of polyunsaturated fats and 45% of monounsaturated fats. Many people today prefer Rice Bran oil for their primary cooking needs. Rice bran oil has a high smoking point of 490 degrees Fahrenheit or 254 degrees Celsius making it suitable for Deep fried products. To summarize all the points we have discussed, it is recommended not to reuse the cooking oil. You may be doing it to avoid wastage but this short term gain should not be traded with long term consequences. Instead, understand different profiles of various cooking oils and try to use them wisely.